Did you know that there are almost 50,000 WordPress plugins? There are plugins that offer all kinds of additional functionality to your website. While it’s tempting to load your site up with lots of plugins, too many plugins can make your site vulnerable to hackers and hinder a site’s speed and performance. According to WPTemplate.com, 22% of WordPress sites are hacked because of plugins. To reduce your risk, uninstall any plugin on your site that is not absolutely necessary. You may be surprised at how many plugins you’ve installed over time. You’ll may also find that many of your plugins are not fulfilling any functionality at all. One important thing to note that we see frequently overlooked. Plugins need to be regularly updated. Even plugins that are deemed safe can open security holes if they’re out of date. Some experienced hosting providers like ArcStone will regularly run updates and monitor plugins so you don’t have to. If you’re not going to maintain plugins on your site, be sure and work with a hosting provider that offers these extra services. 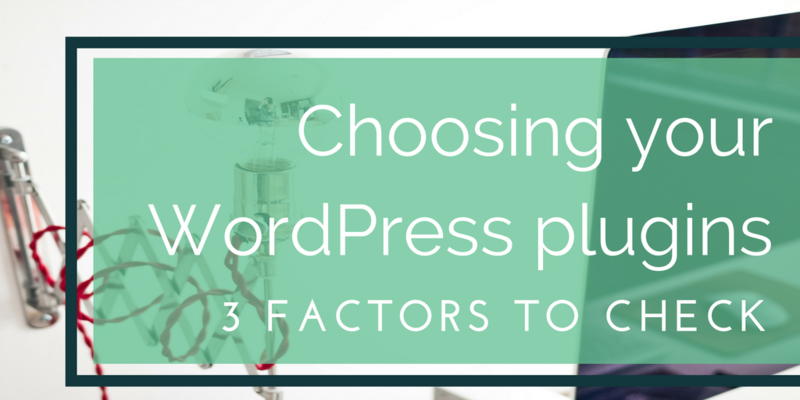 We recommend these simple steps to vet a WordPress plugin. Following these steps does not eliminate your risk completely, but it’s a good starting point. Does the plugin have 75,000-100,000 downloads? If not, and it’s not absolutely necessary, skip it. WordPress lets you filter plugins by popularity. This is a good place to start. This lets you know that the plugin has been tested with specific WordPress versions. If the developer is not actively updating it, there may be another plugin that has stepped in as the leader in that space. With nearly 20 years of providing hosting services, we’ve learned a lot about what makes a site more vulnerable to hackers, negatively impacts a website’s performance and hampers user experience. That’s why we strive to educate our clients about the risks associated with some plugins. Usually, we can find a way that accomplishes their goals and mitigates risks by working together.